Selected as Party of the Day on September 13th! Three-year-old Emma knows all the words to the Frozen song! She was so excited when I arrived to prepare her Disney Frozen themed party that she sang 'Let It Go' to me and showed me all of her Frozen toys. 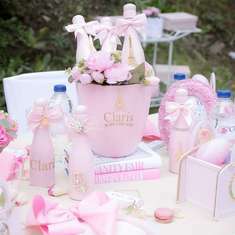 To celebrate her birthday, Easy Breezy Parties was hired to creaste a lavish candy buffet and party table, and to entertain all of Emma's friends. 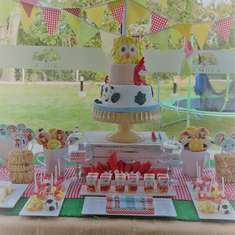 As well as oohing and ahhing over the beautiful decorative display, the children got to decorate their own Frozen themed wands, and seek out Anna's and Elsa's lost treasures. They pinned the carrot nose back on Olaf, and made their very own polymer snow. Queen Elsa even came along to face paint! 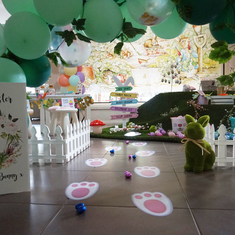 This was a truly beautiful party, with so many pretty decorations, fun activities and delightful little children. Blue and white macaroons, candy buffet and birthday cake. Wands that the children decorated, treasures found in the garden, blue and white candy, and Frozen stationary sets. So many things! 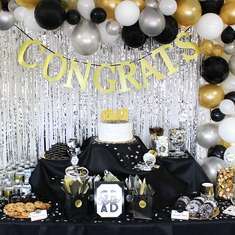 Easy Breezy Parties offers themed kids' party planning and entertainment tailored to the unique interests of each child. 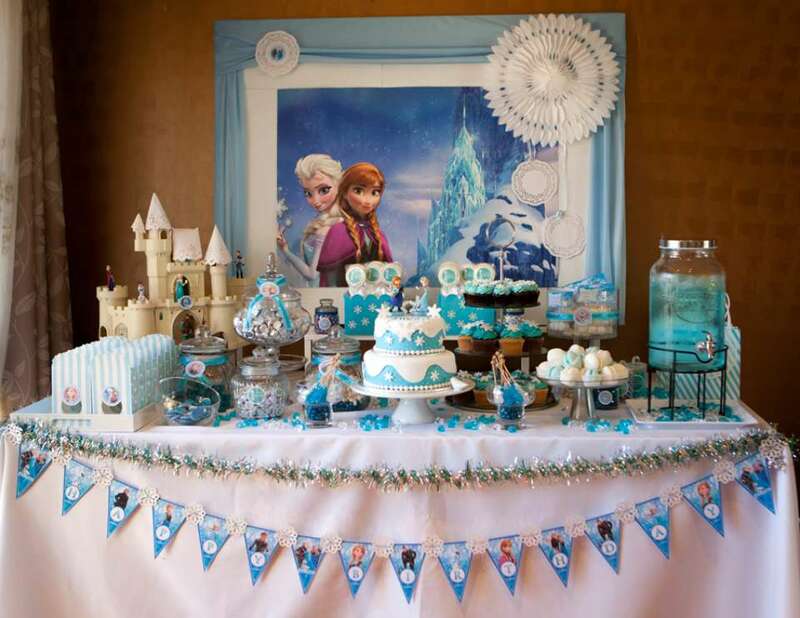 Frozen themed party packages are available across Melbourne, Australia, and Frozen themed party supplies can be shipped anywhere in Australia.